What is the difference between Aspergers and PDD-NOS? A pervasive developmental disorder is one of five disorders characterized by deficits or delays in communication and socialization. Symptoms may begin during infancy, but diagnosis usually occurs after the age of three years. These disorders are also called autism spectrum disorders or PDDs. Depending on the specific diagnosis and severity of symptoms, children with PDD vary widely in intellectual, physical, and social abilities. Symptoms may range from mild to disabling. PDD symptoms generally become apparent before a child reaches the age of three, and many parents report noticing signs in their children as early as infancy. The above symptoms may point toward a PDD. Unfortunately, there is no blood or imaging test available to diagnose PDDs. Doctors base the diagnosis on symptoms and the results of developmental, cognitive, language, and behavior assessments. Five disorders fall under the diagnostic category of pervasive developmental disorder. Children who exhibit PDD symptoms, but do not meet the criteria for autism or another PDD, receive a diagnosis of PDD-NOS. Autism is the most well known PDD, and the National Institute of Neurological Disorders and Stroke estimates that as many as six out of every 1,000 children will develop autism. The disorder affects boys four times as often as girls, although the reason for this difference is not clear. Autism causes difficulties with both verbal and nonverbal communication, impaired social interaction, and repetitive or limited interests and activities. 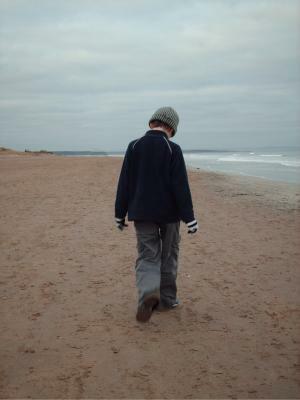 Asperger's Syndrome often remains undiagnosed until the child begins schools. Many people confuse Asperger's with mild autism, and the two disorders are very similar. However, children with Asperger's syndrome do not experience the same degree of impairment in intellect and communication as children with autism. Childhood Disintegrative Disorder is marked by normal development until the age of about three or four years old, followed by a severe loss of communication and social skills. Childhood disintegrative disorder is very similar to autism, but the disorder tends to occur later in childhood and the loss of skills is usually more dramatic. Rett's Syndrome affects girls almost exclusively. The first symptom of the disorder is loss of muscle tone, with problems crawling and walking quickly following. Over time, children with the disorder lose purposeful use of their hands, become unable to speak, and develop hand wringing and problems with eye gaze. In many cases, Rett's syndrome causes severe impairment and disability. PDD-NOS is short for pervasive developmental disorder not otherwise specified. When children clearly exhibit symptoms of a PDD, but fail to meet the criteria for autism or another specific PDD, doctors generally give a diagnosis of PDD-NOS. The causes of PDDs are not clearly understood, but most experts believe there may be a genetic basis for the disorders. Some studies have shown a link between the development of PDDs and food allergies, exposure to environmental toxins, and excessive yeast levels in the digestive tract. However, there is very little scientific evidence to support any of these associations. Some experts, and many parents of children diagnosed with a PDD, argue that childhood vaccinations cause autism and related disorders. This idea has been heavily studied, and there is no solid scientific evidence that links PDDs with vaccines. Treatment primarily focuses on improving communication, developing social skills, and modifying harmful and self-injurious behaviors. Medications are sometimes used in conjunction with behavioral therapy. Occupational therapy is beneficial for encouraging self-help skills, and targeted educational plans can assist with learning. Classroom size is usually small, with one-on-one attention available. While there is no known cure for PDD, early intervention and treatment can significantly improve the prognosis for children diagnosed with PDD. Early diagnosis is crucial to language and social skills development, and specialized educational programs can increase independence.